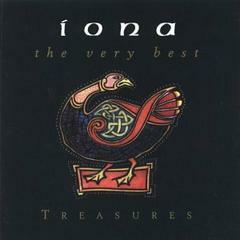 Formed in 1989, IONA take their name from the small island off the west coast of Scotland. From the beginning, their aim has been to write spiritual, atmospheric, yet uplifting music that would stir the emotions, weaving complex patterns that echo the intricate knot work of the great Celtic artists. Often inspired by the great figures of the Celtic Golden Age such as Columba, Aidan, Brendan and Patrick, IONA's music is as timeless as the message that reaches out to us across the centuries. Read more @ http://www.iona.uk.com/iona ‘Their music seems to draw from the collective memories of an entire race of people - Bob Darden - Billboard (USA) ‘... an exhilarating contemporary folk act, able to press traditional instruments convincingly into service alongside their electric counterparts ... rarely has the Celtic thing been given so many welcome twists, or played with such conviction.’ ‘Q’ MAGAZINE IONA's latest album 'Another Realm' is out now!